Reebok is adding some modern touches on a classic. The original Reebok Shaq Attaq sneaker was born in 1992 and was Shaquille O’Neal’s signature shoe when the backboard-shattering player dominated the court with his singular prowess and skill. 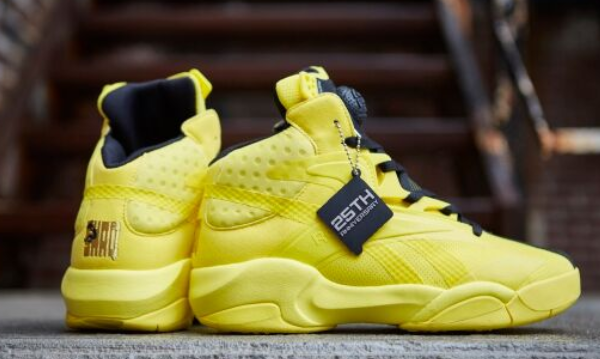 To celebrate the 25th anniversary of the Shaq Attaq this year, Reebok is introducing a twist on the original, called the Shaq Attaq Modern. The Shaq Attaq Modern was designed to be closer to the current trend of contemporary basketball sneakers. The leather is replaced with a woven mesh upper, which helps to reduce the overall weight of the shoe while keeping the structure of the original in place. The collar features a foam compound with net mesh overlay to provide padding around the ankles, along with custom Pump technology for an adjustable fit. Minimal stitching gives way to hot melt throughout while also providing dimension through the use of technical lightweight synthetics on the upper. Featured in an allover yellow spark color with sublimated black stripe down the middle, the Shaq Attaq Modern colorway was inspired by one of Shaq’s many nicknames. 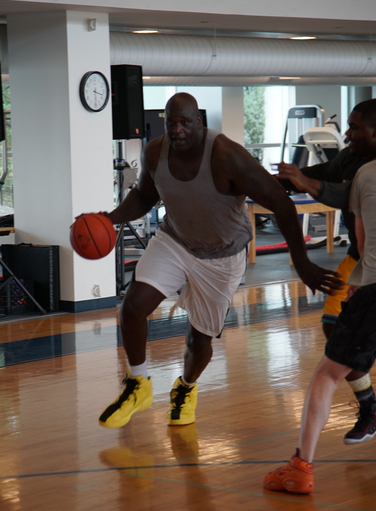 Shaq visited Reebok Headquarters in Canton, MA recently to test out the shoes on court via a pick-up basketball game. Print article This entry was posted by Art Eddy III on May 22, 2017 at 6:11 pm, and is filed under Lifestyle. Follow any responses to this post through RSS 2.0. Both comments and pings are currently closed.